Naturally back in the 1700s Robbie and his peers didn’t benefit from being able to check social media to see exactly what others thought of them. Times have changed and we can – gratefully – find out what our clients think of us! At our Vancouver eyebrow threading studio we aim to offer our clients the very best customer service as we shape their brows in our boutique spa setting. When we look at this round-up of reviews from our #BlinkBeauties, we’re happy to see that we’re on the right track. No matter which of our award-winning treatments you come to enjoy (eyebrow threading, eyebrow and eyelash tinting, or facial + body waxing), we always try to make sure you get our very best advice on what will work for you – even if that means telling you not to spend money for a certain service. “Went today to get eyebrow & eyelash tinting. It was my very first time, so I was nervous about the outcome. I chose this place due to the great Yelp reviews and I so happy I did…this place is AWESOME! Besides that it’s good priced, it’s also super cute & clean place with friendly employees. I’m a bit OCD and I have to say this place is super clean. You get text message appointment reminders, which is great! The lady that did my tint was named Deep and she was awesome! I have naturally blond eyebrows and wanted them darker, but still natural. She listened (which is super important to me) and gave suggestions, but let me in the end make the choice. She was very gentle, explained everything in detail before doing it and made me feel very comfortable. Best part while waiting she gave me a hand massage. 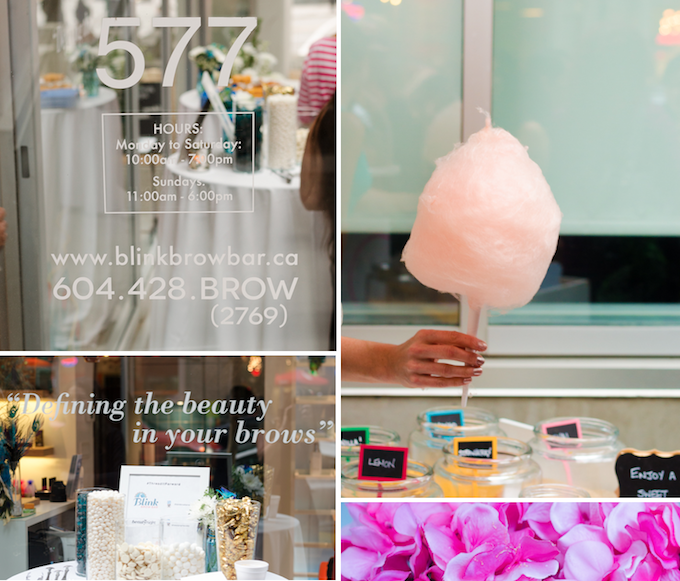 We love Blink Brow Bar’s location in beautiful Coal Harbour, and appreciate that so many of our clients make the effort to travel to us for their brow care. Our #BlinkBeauties come from all over the Lower Mainland and beyond! Abby A. says in her Google review, traveling about an hour was “completely worth it.” She had her brows and upper lip done and was happy with the whole experience, noting, “I got a pallet and brush (as well as complimentary soap), and Kiran showed me exactly what to do and how to use it. Heather Vince came to us very recently and her short and sweet review warmed our hearts: “Blink is the best and I’ve tried many. I won’t go anywhere else.” Repeat business is what we strive for! Roula Hanna says, “My eyebrows never looked so good” (and we’re so happy you appreciated your brow specialist took her time to show you what looks best for you!). The love continues on Facebook, where all nine of our reviewers give us the full five stars. And a recent shout out from Jackie for all the little extras we offer at Blink Brow Bar Vancouver. We’re so glad you like our services! 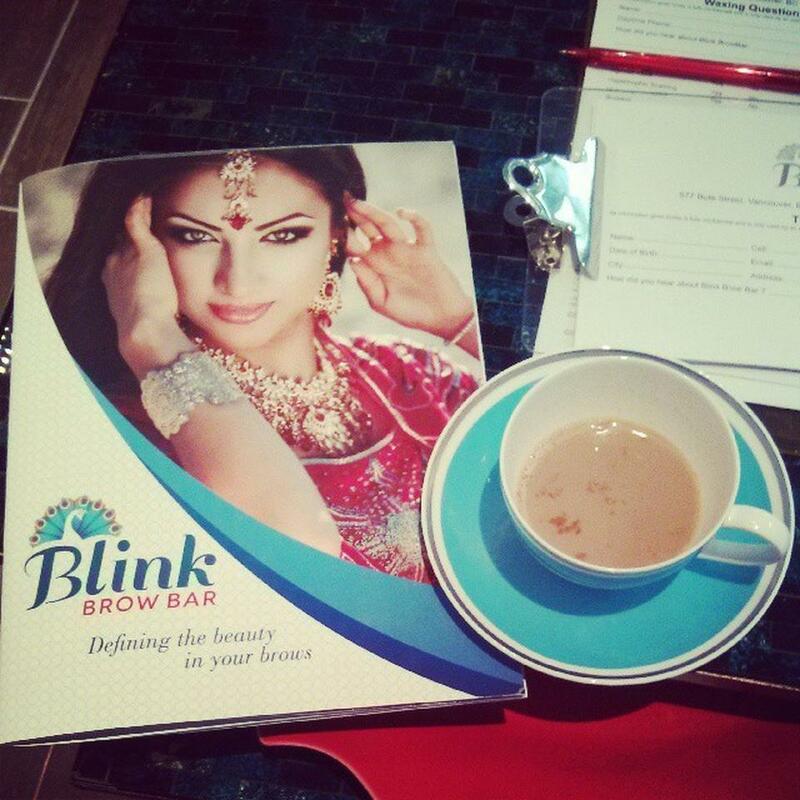 Sure we can tell you we’re proud of what we do at Blink Brow Bar Vancouver. But if you haven’t been to see us yet, doesn’t it mean more to hear all the good things our clients are saying about Blink Brow Bar? If you’re ready to be one of our #BlinkBeauties or #BlinkBrowBros, call Blink Brow Bar for an appointmentor book your next eyebrow threading appointment online. Our Vancouver eyebrow threading shop is open daily at 577 Bute Street in beautiful Vancouver BC.